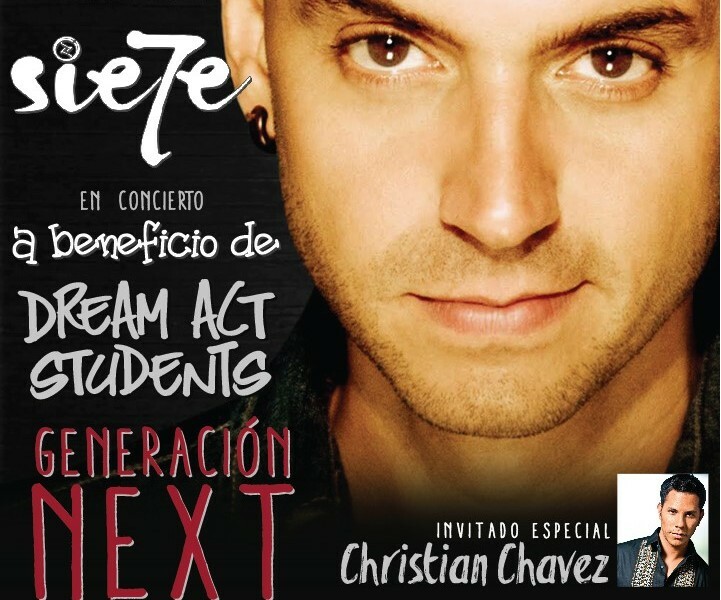 Unidos Por La Música announced their second annual fundraiser event to benefit the Dream Act Students by presenting a concert with major international artists SIE7E and CHRISTIAN CHAVEZ, an ex-member of celebrated group RBD as guest artist. More artists are to be announced as part of this great event that will be held in Los Angeles on November 6 at Los Globos. More artists are to be announced as part of the event that will benefit at least four students in Southern California with grants to commence their higher education. Tickets are now available at $40 for 18 and over and $35 for 21 and over at www.ticketon.com/Sie7e, doors open at 7 PM.